These were indeed two brave essays into this highly charged sceptical domain deserving the interest they received. But it is Ravetz’s intervention that is of particular interest to us here because he is primarily concerned with epistemology and scientific methodology. In fact, Ravetz believes that the conditions of knowledge in environmental sciences are so new and extraordinary that they require a new methodology. Since 1986 (earlier?) he has been advocating this new methodology for environmental science – and most particularly for the science of climate change. Did Ravetz’s encouragement of participatory science legitimate corruption of scientific processes of the type now under investigation at CRU and the UN? The new condition of practice prevailing in climate change science is not, as you might have guess, the post-modern condition that Jean-Francois Lyotard, famously describes in his essay of that name (translated in 1984). Rather it is the post-normal condition. And because climate change science is in a post-normal condition, normal science practice will fail. Thus, it is incumbent on scientists to abandon normal scientific practices and turn to this new way of doing science. Radical stuff! But was anyone listening? Well apparently some were. A number of the prominent advocates of AGW, including Stephen Schneider, Hans von Storch and Mike Hulme refer to Ravetz approvingly. Von Storch and Hulme recognise climate science to be in this post-normal condition, and, in different ways, they support his call for a methodological revolution (watch this blog for more on their interpretations of PNS). Now, it has always been my view that down through the history of science the various popular philosophies of science have rarely affected a direct and intended influence on the practice of science – they remain little more than a sideshow to the course and nature of its advance. Newtonian science may have been marketed on the continent as the marvellous product of Lockean doctrine of no-innate-ideas and all-we-know-arrises-from-the-senses. But in practice Newton’s mathematical investigations were another story. One exception to this rule is the German philosopher and physicist, Ernst Mach – with his strict alignment of knowledge with experience he seems to have influence the heated debates of a century ago in theoretical sub-atomic physics – and maybe you could make an argument for Karl Popper with his (new?) method of falsification. But here with Ravetz we may have another exception. Well, that is, if the blogger ‘ScientistForTruth’ (SFT) is right about his impact on the most controversial science of our day. In a posting prior to Climategate (Climate Change and the Death of Science) and in the WUWT controversy, SFT argues that the methodological recommendations of Ravetz (and his colaborator Silvio Funtowicz) has influence climate change scientists so as to legitimate the corruption of normal scientific practices by political practices and outright activism. PNS promotes just the sort of corruption of normal scientific practices that are now under investigation at the University of East Anglia and at the United Nations. For Ravetz, science in the post-normal condition is no longer about establishing truth, as this is impossible due to ‘irreducible uncertainties.’ In the post-normal condition these ‘high level uncertainties‘ sometimes approach ‘shear ignorance.‘ And yet, in this new method, positive claims can still be made. The quality of this science can be assured by involving what he calls ‘the extended peer community‘, which includes all stakeholders and interest groups. And the involvement of this community in the science is not limited to the normal-science process of peer review. They participate in the very problem-solving strategies of the science, and in the scientific decision-making. 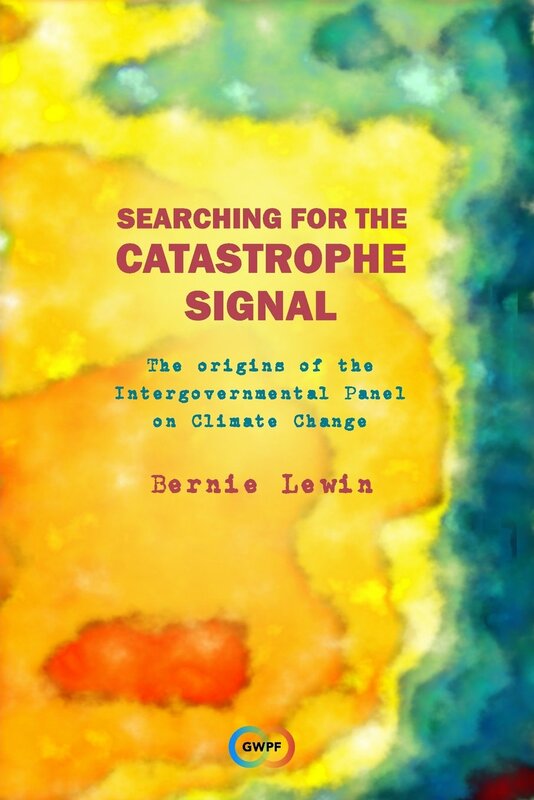 This ‘democratisation of science‘ is also a politicisation such that political interactions are used to generate the knowledge and to develop the decisive conclusions upon which government policy can subsequently be based. The extension of the peer community is then not merely an ethical or political act; it can positively enrich the processes of scientific investigation…Those whose lives and livelihood depend on the solution of the problems will have a keen awareness of how the general principles are realized in their ‘back yards’. They will also have ‘extended facts’, including anecdotes, informal surveys, and official information published by unofficial means. It may be argued that they lack theoretical knowledge and are biased by self-interest; but it can equally well be argued that the experts lack practical knowledge and have their own unselfconscious forms of bias. Within such extended peer communities there will be the usual tensions between those with special-interest demands, and the outside activists with a more far-reaching agenda, along with the inevitable divisions along lines of class, ethnicity, gender and formal education. However, all such confusion is inevitable, and indeed healthy, in an embryonic movement which is fostering the transition to a new era for science. Judging from the responses to SFT comments at Ravetz’s WUWT post (and also to his much earlier blog-post on PNS), I guess I am not the only one who would like to investigate PNS further so as to verify the nature and extent of this influence on climate changed science. I will thus present some results of my preliminary investigations through a series of posts on this blog in the hope that, with the collaboration of others, we might over time sharpen the analysis and gain a clearer picture of what has been going on. I will not be giving a general introduction to PNS here, but I encourage those who are unfamiliar with it to please explore some of the introductions to PNS that are already linked from here and others easily found around the web. You could start with the wikipedia article or some of the PNS research papers on open access, for example this one or this one. What I would like to do first is start with their definition of a science in a post-normal condition, and then relate various aspects of this definition to the historical situation of this theory while at the same time finding its affinities with, and influences on, the practices of climate change science. dispute, stakes high and decisions urgent. the assessment of high stakes and urgency. This entry was posted in Post-Normal Science and tagged Climate Change Scepticism, Dr Jerry Ravetz, Post normal Science. Bookmark the permalink. ← The Blog: a new mechanism of scientific review? We need to include what is at the heart of PNS as well: the idea that the search for truth should be jettisoned in favour of the search for quality. This is really the heart of the problem, and the true game-changer. Quality is open to human judgement, frailty and error. Truth is not. The essays by Curry and particularly Ravetz have a air of bargaining about them, throwing the most obvious and unsaveable PNS players under the bus. I don’t personally care how reasonable Ravetz sounds or even if his theory has been misappropriated by scoundrels. PNS dissolves the protective membrane that has always existed around sound science and for that alone I have to condemn it. In his second WUWT essay Ravetz goes out of his way to flatter the blogosphere, as if they are part of PNS’ ‘extended peer-review’ network. They’re not – and I’m pleased to note a large number of responders not falling for it. Unfortunately, it’s late in the game and a great number of our institutions, including much of our media, are effectively being held hostage by astronomically well funded groups inside the Carbon Pyramid. The BBC for example is to all intents and purposes gagged by its multi-billion pound pension trust being ‘managed’ by the IIGCC, the largest climate change lobbying group at recent summits. The Carbon Disclosure Project consists of 475 institutional investors with $55 trillion in managed assets. These people have gone ‘all-in’ – and they plan to take the World with them. FV, “…truth jettisoned in favour of the search for quality” Yes, indeed, and the way Ravetz does it is by making normal science this strawman of a textbook dogma of absolute truths. It strikes me that his understanding of the history of science is itself something from a highschool textbook. In these posts I don’t see any point in jumping into their whole quality alternative to textbook-absolute-truth. In my view, we should not even buy into the science-as-truth thing, but only say, hey, lets just go for science as systematically base on evidence in experience — this is the ground of empirical science. This is what needs to be emphasised: that Ravetz is licencing the dismissal of evidence-based science. In my next post (that explores the link with Marxism) I show what Mike Hulme does with this licence in a review of a sceptical texts. He quotes its description of the scientific process as ‘developing theories and testing them against observations’ and they says, hey these guys got it all wrong, and so that is why I can dismiss their work for its alterior motivations. Good to see you’ve been plugging away at this and done some great work. Any chance you could correct my pseudonym to ‘ScientistForTruth’ (you show it a couple of times as ‘ScienceForTruth’ in your post https://enthusiasmscepticismscience.wordpress.com/2010/02/28/post-normal-science-and-the-corruption-of-climate-science/)? which might interest your readers as it was this post that flushed out Ravetz in the blogosphere as the guiding hand in the direction climate science has gone. This was a revelation for many people outside the academic community. This post was responded to by ‘tallbloke’, a moderator with WUWT, who seemed to be favourable to Ravetz, having heard him at Leeds University. After a series of comment exchanges, ‘tallbloke’ then prevailed upon Anthony Watts to run a post by Ravetz himself, and the whole thing got a very wide reading. Name change done – Apologies. Thanks a lot. I’ve linked your other post on neo-Marxism and will do the same for this one also. The “greenhouse effect” hypothesis of CO2 is based on the claim that Oxygen and Nitrogen do not absorb infrared radiation. Only “greenhouse gases” absorb infrared according to this hypothesis. It has been necessary to falsely claim that Oxygen and Nitrogen are transparent to infrared radiation in-order to demonise CO2 and other gases and blame them for causing atmospheric warming. All gases absorb and re-emit infrared radiation. The fallacy of CO2 “greenhouse effect” is the keystone of AGW fraud. Air, pure oxygen and pure nitrogen all absorb more infrared radiation than pure CO2. Don’t believe AGW is a fraud, know it! “A science is in the post-normal condition when the facts are uncertain, values in dispute, stakes high and decisions urgent.”. In my opinion PNS is just another sophisticated attempt (as coming from a sophist) to allow a new selfappointed-PRIESTHOOD to implement upon the rest of us their wishes (visions), despite the fact that a feable-newborn-science (climate-science as it is) is unable to produce the hard facts that allow us to discern if there is any problem to begin with. In my opinion PNS is an example of a non-science, it’s cargo-cultism, it is the Trojan-Horse produced by sophists to destroy Science from within. The Ravetzs, Hulmes, and accompanying planet-saviours, are the sophists and self-appointed PRIESTS attempting to overtake power at the expense of Science: take heed!